Jani Väänänen is Piceasoft’s chief technology officer, co-founder and member of the board of directors. Jani is responsible for our research and development. With a close to 20 years’ experience of software development, Jani has worked as head architect of Nokia PC software products which had tens of millions daily users. Pasi Pihlman is the sales director of Piceasoft, coordinating and managing the Piceasoft sales operations globally. Pasi has more than 10 years of international sales management experience in UK and Australia. Joni Lagerbom is our vice president of customer services, co-founder and member of Piceasoft board of directors. Joni manages customer support, feedback and product delivery. Joni has more than 25 years of experience of customer services. Before Piceasoft Joni was responsible for Nokia PC software product support, with thousands of weekly support enquiries. Samuli Ylinen is our product director, who makes sure that our products fullfil our customers’ needs. Samuli has 20 years experience in software product design, including 17 years experience from Nokia and Microsoft. Samuli worked as head for various Nokia product teams and was end-to-end responsible for products, including concepting, implementing and delivering products to over a hundred million end users. In Microsoft, Samuli was responsible for shipping over 15 million Lumia smartphones to customers around the world. Juha Röyskö is the sales director of Piceasoft working with operator customers. Juha has 20 years of international experience in sales and product management senior positions in Nokia. Most recently Juha was in charge of industrial relations in his role heading the OSS interoperability initiative. Risto Kivipuro works as management team advisor for Piceasoft. Risto is also a co-founder of Piceasoft and chairman of the Piceasoft board of directors. Risto’s role in Piceasoft is company governance, business strategy, strategic partnerships and managing the leadership team. 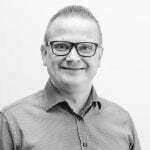 During his successful, 30-year software business career Risto has headed the international TeamWare Office as well as Nokia PC products and product operation. Back then, products like PC Suite and Nokia Suite had tens of millions of daily users.